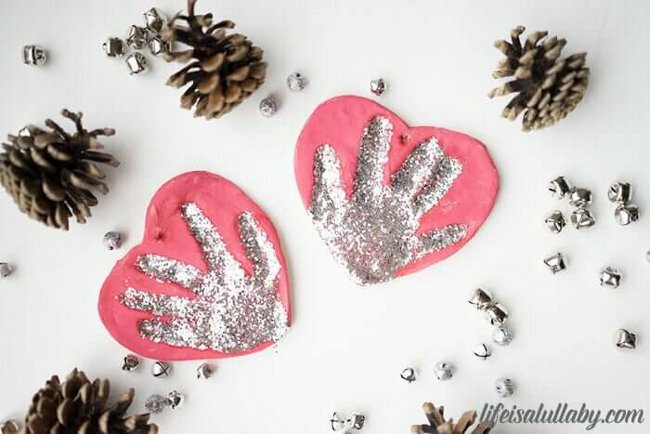 We love to create arts and crafts with handprints for the holidays. 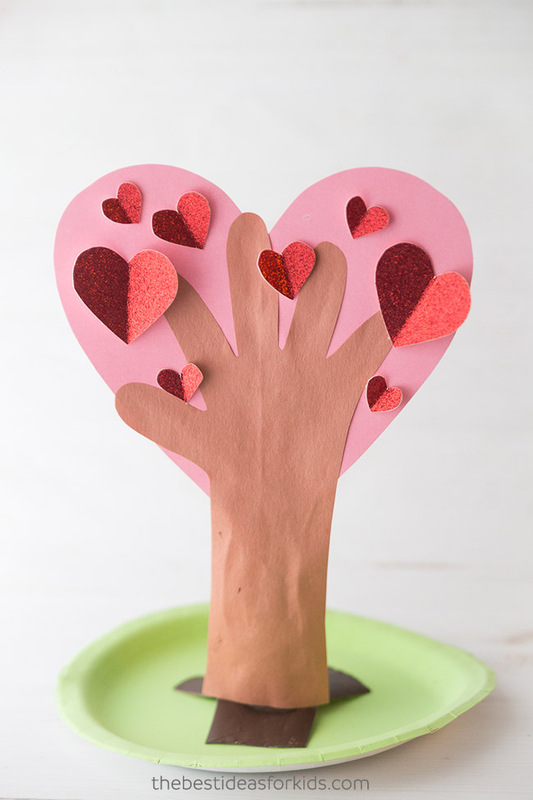 This 3D handprint heart tree may be one of our favorite crafts for Valentine’s Day! You could even make this as a Mother’s day gift too. 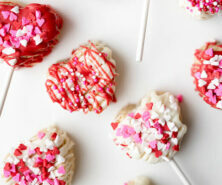 This would look so lovely on display in a classroom or up in an office for some Valentine’s day decorations. Use it as a centerpiece and enjoy it on your table too! 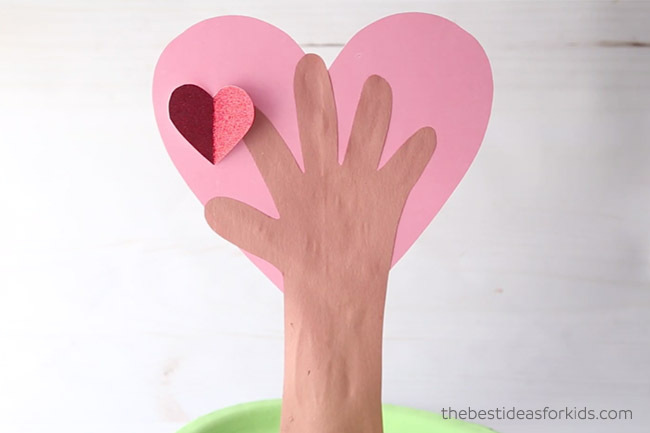 This heart handprint tree is so easy to make! 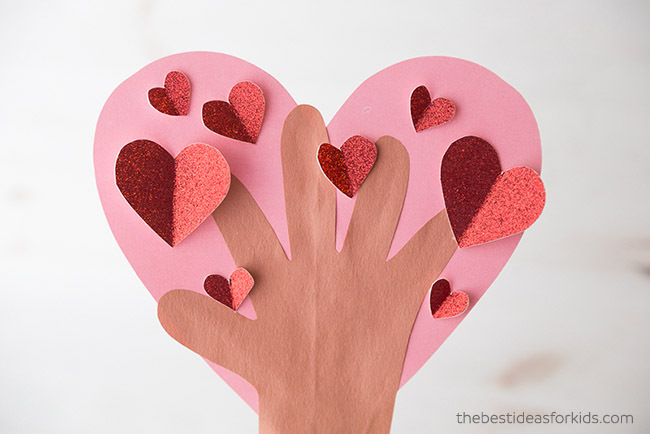 We love that the hearts have a 3D effect and the whole tree is supported by a paper roll. If you love that this handprint tree stands up, see our fall handprint tree version too. Some alterations: You can make the hearts stand up like we have done or you can simple glue them down to the tree. 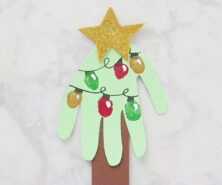 You can also just make this beautiful handprint tree on paper! 1. 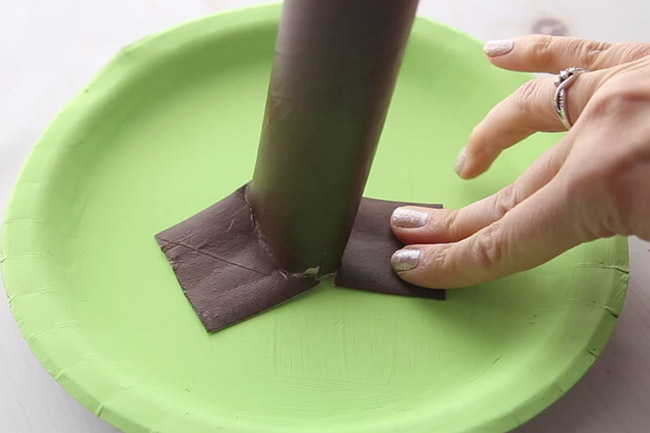 First start by painting your paper roll brown and your paper plate green. 2. 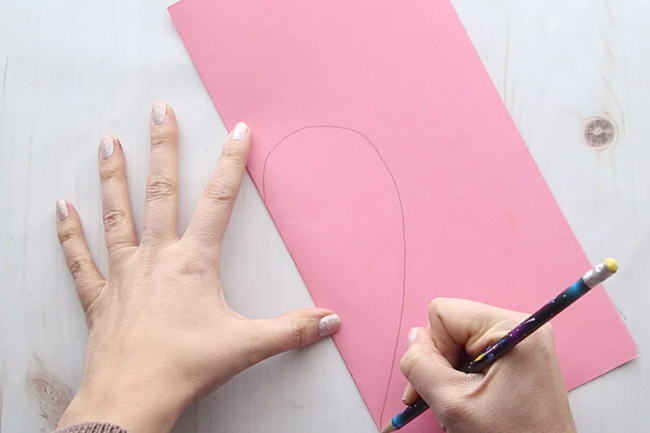 Fold over a piece of pink cardstock and draw half of a heart on the folded side. Cut out your heart. 3. 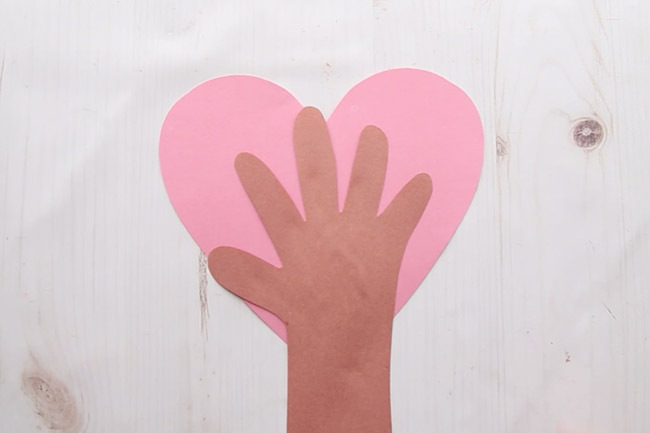 Trace a handprint and part of the arm on brown construction paper. Glue this to your heart. 4. Cut slits in the bottom of your paper towel roll and glue this to your paper plate. 5. 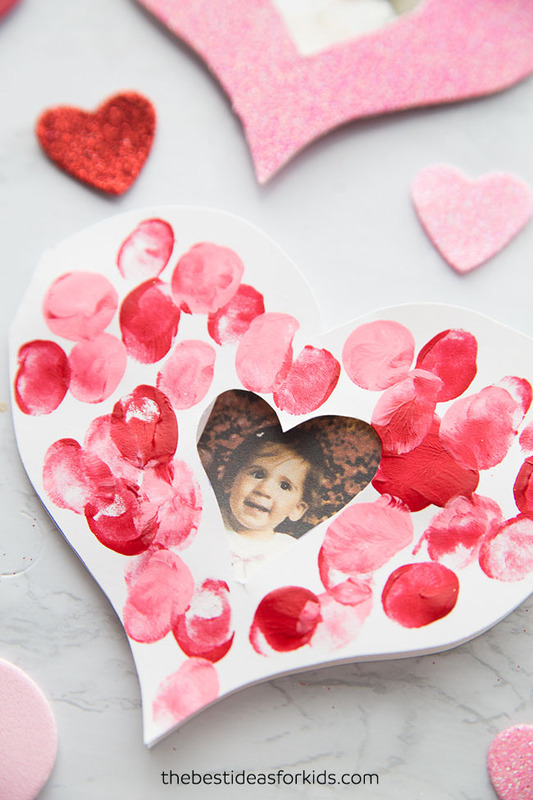 Cut out different sizes of small hearts from red glitter paper. Glue these to the heart part of your tree. 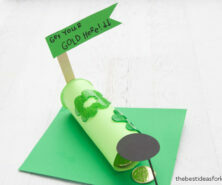 You can do this before or after gluing the whole handprint to the paper roll. 6. 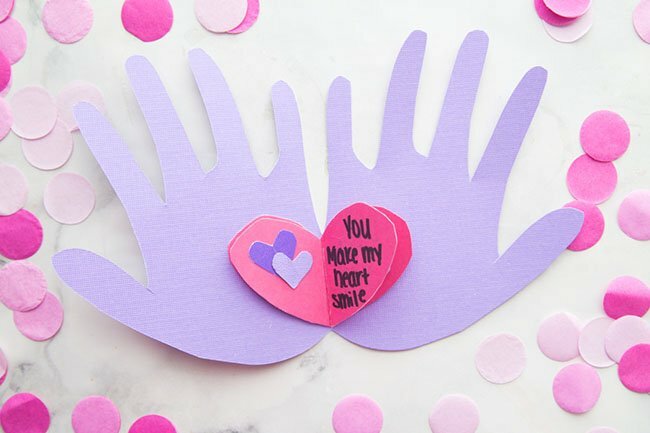 Keep adding hearts until you are happy with the way your handprint tree looks. We love how easy this tree is to make! It’s such a pretty keepsake you can make with your kids to give to grandparents or other relatives.